I know of a half dozen people just at my local FBO — mainly line service, flight attendants, and office personnel — who already work in the aviation sector, see the shortage, and want to be part of the solution. It begs the question: what happens when you run out of commercial pilot certificate holders to turn into CFIs? It’s a chicken-and-egg scenario, but the problem is a serious one because eventually it will encourage airlines to find their own solutions, one of which will likely be ab intio. I foresaw this four years ago and wrote about it. Will it solve the airline’s labor needs? Yes. And it will damage general aviation in the process. My writing on the AOPA blog is centered on business aviation, but I’m touching on this issue because it’s a problem which will affect everyone who flies. In fact, I recently mentioned it in AOPA Pilot Turbine Edition. It’s getting hard not to, actually. 1. Reduce the cost of learning to fly, but do so in a way that doesn’t cut into the CFI’s meager compensation. The best, fastest, and easiest way to do this? Change planes. Ditch the SR22 and replace it with a Champ, Citabria, Cub, or other dirt-simple tailwheel design. It will turn out pilots with better stick and rudder skills, reduce the number of hours required to achieve a certificate, and reduce the hourly cost of the airplane by $100 or more. Now take that money and put it in the CFIs pocket. Or split the savings between the student and his or her instructor. 3. Create an industry-wide CFI insurance pool to ensure strong liability insurance is available at reasonable cost. 6. In many places, the CFI training process is appallingly long. I know instructors are important from a safety standpoint, but what they do is neither rocket science or brain surgery, so it shouldn’t take as long to earn an instructor certificate as it does to get a PhD. Has the workforce imbalance reached the point where it can’t be turned around? That’s a question I can’t answer. But I look at my three year old son and think how incredibly sad it would be to know our generation used the world’s finest general aviation system to it’s fullest… and then watched as the ladder came up behind us. Ron, spot on! I’m retired and I got up to the sign-off on my CFI course and quit. Depth of pockets is a relative term but I cannot afford to dip in my retirement to defend myself in a frivolous lawsuit(s). I’m also concerned about the quality of training this current generation of pilots are receiving. Without the school of hard knocks and practical experience what lessons learned or life experiences can a 400-hr CFI provide? Yeah, yeah…the airline hires pilots with 1,500hrs TT and maybe completed his/her ATP rating. With the degradation of the FAA ACS standards, who knows stalls and spins/recovery? “You’ll be fine, just don’t go there.” How did that work in Buffalo? Stupid is as stupid does. I’m sorry to hear you didn’t complete the CFI course… but I do understand the liability concern. I once wrote a post about a guy who built a beautiful airplane, flew it a while, and then due to liability concerns had it intentionally destroyed. It made me sad, because it could have been in a museum, or served as a work piece for an A&P school, or even helped young people get involved in aviation. It could have been parted out to keep other airplanes flying, or served any one of a hundred other useful causes. Instead, it was recycled into a few hundred Coke cans. Sad. As for the training and experience, I fear we aren’t even aware of what we’re losing in terms of institutional memory and won’t miss it until it’s truly gone. The ACS is not helping the matter any. Have you read Rod Machado’s analysis of the ACS changes? Let’s just say he’s not a fan. And I agree with him. I can certainly echo just about everything you stated regarding finding adequate, or even ANY, flight instruction. For my CFI certificate alone, I had spent more than $90,000, on JUST this rating, alone. I had 13 different CFIs for much of the reasons you mentioned: Schools closed (and took money up front), CFIs leaving for a new job, Other CFIs having apathy, or just not caring at all. I could book an appointment with my CFI and he wouldnt even show up. I called up ALL ATP school in Las Vegas to do the 9 day CFI, CFII, MEI and they said they do not do it any longer. (combination of Fraud, lack of DPEs). Bottom Line, its HARD to become a CFI around here. And no one agrees how to teach the course. I have seen three or four success stories though, full time folks getting it in 6 – 7 months of full time study. As for the tort reform, I know three different instructors who got “709 rides” for seemingly minor infractions, if at all. As for the Crap jobs, I think the jobs are amazing! We get to fly. I think maybe the rubbish they are referring to is the pay. I think if the pay was $60k or better for entry level commercial jobs it would be easy to jump ship. But you are right..the pay is too low for way way to long. Now what? Now you teach! And you help make the world a better place by never treating students unprofessionally or hanging them out to dry the way you were. It’s unfortunate, but sometimes what you learn is how NOT to fly, how NOT to instruct, how NOT to treat other people. Your story is one of the most egregious I’ve ever heard. I was right there with you along the way, and have been sad, disappointed, and angry about the state of the flight instruction business ever since. I’ve seen other people get hosed, but not like that. $90,000 and five years of work for something that should have taken 3 months and maybe $5,000. Your experience encapsulates everything about what’s wrong with the flight training industry. From criminally poor ground instruction to the final checkride hell, if I hadn’t seen it myself I probably wouldn’t have believed it. When I said you should write a book about what you’ve been through, I was 100% serious. A story like that needs to be told far and wide. I wonder why Sporty’s, the King’s, Embry Riddle, Red Bird ,aviation colleges, or companies like Flight Safety haven’t stepped in to provide CFI training. That’s a good question. Some of them — I’m thinking specifically of universities like UND and ERAU— do offer CFI training. Likewise, FlightSafety offers CFI training through their FlightSafety Academy. ATP, American Flyers, and many other places also train instructors. But just as GA is sometimes referred to as the world’s largest airline because of the number of people who travel via general aviation each year, so too are many CFIs made by the local flight schools around the country which have been suffering and closing since 2008. Oh yes, that’s true. But they do turn out instructors—they just don’t have the old Total CFI program anymore. I imagine Embry and UND are the same way: you can get a CFI there, but only as part of their larger aviation education program. That’s one of the beauties of an independent flight school. They’ll do things ‘a la carte’ and customize training as required or requested. The larger programs don’t necessarily have that flexibility. Excellent description of the dilemma. An airline ab initio program would be horrible, since airlines (and the manufacturer schools) only teach how to operate the equipment, not how to fly. The mantra at Boeing is to engage the autopilot at 200 feet after takeoff, and leave it engaged until landing is assured. That is how the Asiana 214 pilots were taught. That is how the Jet Airways pilots with whom I flew the B777 were taught. I fear the problem will simply get worse. I used to fly with a guy who left United Airlines because — among other issues — they wanted the autopilot on from takeoff to touchdown, no exceptions. No hand flying. It was actively discouraged in the airplane and the simulator, at least on the 737. I wrote about his experience a few years ago. That’s a fantastic recipe for automation proficiency, but it begs the question of what happens when something goes wrong with all that stuff. As for the 777, in 2012 a highly experienced captain on that aircraft found he was unable to master the kind of flying we do in “little” airplanes like the Gulfstream IV-SP, and it caused three fatalities in southern France. You might remember my post about that one. In some ways airline flying is easier than worldwide on-demand operation, but we continue to think that larger aircraft = better pilot. Asiana 214, AF 447, and many other accidents show that it ain’t necessarily so. People like to talk about the perfect safety record since the 1500 hour rule was enacted, but Like you, I predict the problem is going to get worse before it gets better. Ron: If pilots had not been fired at 60 (like me) – now 65-, we would not have the crisis. We live in a time when health, such as the odds of a heart attack, can be measured – just like pilot proficiency. I have been thru the Mayo Clinic executive physical and am physically a 40 year old in a 70ish body, but I can no longer do the job that I was, and still am, good at. I have over 40,000 hours flying around the world, as well as a ton of GA experience, but my physical age keeps me from getting a good job. Ironically, flying, like music and other hand, eye, brain coordinating activities actually build brain synapses that make the brain “younger”. Firing pilots at a predetermined physical age was always a financial not a safety issue. An excellent point, Bob. The pilot shortage is, to a certain extent, a self-inflicted wound — at least, as far as the Part 121 world is concerned. While 135 doesn’t have this issue per se, it’s starting to creep into that side of the business as well. Many other countries do have age limits, and if you fly an international aircraft, the U.S. companies are forced to comply with the age restrictions. I’m sure ARG/US, Wyvern, insurance policies, and others will start up with age limits as well. It makes no sense. Why not fly while you’re capable of doing the job, and stop when you’re no longer able. I’ve flown with pilots who were in their early 50s and should have been retired, while others in their 70s were sharper than I’ll ever be. Putting an arbitrary age on it makes no sense if safety really is the issue. It’s kind of like hours logged, come to think of it. Enjoyed your post and agree with almost all. I totally agree with your concerns and your basic premise. My own experience with the world of GA flight training echos some of the same horror stories that are now legend in the industry. I started flight training at a later stage in my life. My wife had run out of ideas to get me for my 50th birthday and came upon an introductory flight at a local flight school. Little did she know that she had touched on a childhood dream that I had never believed was even in the realm of possibilities… Learning to Fly ! I had no illusions of wanting to ‘fly jets’…or to fly for the airlines. I knew I was probably far too old to pursue that as a career. I did not go into flight training with any delusions… I did my research and knew what the possible pitfalls might be. To that end I requested and received assurances from my CFI that he would in fact be able to complete my training through my PPL. I explained to him my concerns with all those who went before me and their experiences with being left high and dry when their CFI’s ran off to fly jets. I first finished up my Sport Pilot certificate and checkride. By that time I had about 100 hours and had landed at over 50 different airports… from grass strips and small islands in Lake Erie to B and C airports. This choice was mine because I knew that once I had my license I would want to fly into all sorts of different fields. So lesson 2 was to push your instructor to actually take you into different more challenging airport environments. I had a blast doing all these different types of airports. And on to lesson 3.. flight training should be FUN ! Many newly minted cfi’s only look at the student as some sort of low life and a means to their dreams of flying for the airlines. Many many flight schools have taken the fun out of flying. Sad ! As a student…why would I want to go and pay hard earned money to try to learn to fly from someone who views you as an hour of flight time to log? No fun there. I graduated from my Flight Design sport plane to an SR20 and finished my PPL I then went on to purchase an SR22 and finished my IFR. I was a bit surprised by your position that we should get rid of the SR22’s in training. My personal mission is flying 300nm cross countries from VA to OH. I trained for that mission. I wasn’t training to go out and fly around the patch on a nice CAVU weekend. My mission was and remains safely flying long distance cross countries with my wife. The Flight Design and the SR’s have parachutes and other technologies that provide SP IFR operations to be completed safely. Cirrus came about after the founder was involved in a mid air while doing IFR training. I believe that this added safety equipment and technology significantly reduces risk. I am a firm believer that most students given the choice would prefer a 22 over a 50 year old Cessna. Especially younger students… these are early adopters of technology. Most aren’t still using flip phones from 1995. They are raised on ipads and as a pilot I swear by my Stratus S2 & Ipad Pro with backup AHRS and synthetic vision and WAAS. Providing additional situation awareness. A point that I would add to your original theme is that it is almost impossible to find CFII’s for recurrent / continuous training or to do an IPC. Those that are out there providing this service can command $70-$100 per hour. And many of the good ones earn very serious money. The flight school industry has generally been a small owner operated cottage industry. And for the most part been their own biggest enemy. My CFII did graduate to flying A320’s for the Bigs. But we still train together several times a month and our focus has been on flying in the system. I have truly benefitted from training to fly like a pro in the NAS. I believe that some of the majors now require that their pilots actually hand fly their aircraft to 10K feet on take off and below 10K on descent. After several accidents the airlines are concerned about their pilots stick and rudder skills. GA remains a fractured small cottage business. The total SR fleet is less than 7000 aircraft and the same small numbers hold true for the biz jet manufacturers. That said there is concern about the shrinking pilot population and many studies preformed but no real solutions appear on the horizon. My idea would be to institute a two path system to flight training. One path is direct to the airlines with training from first flight to ATP with all costs borne by the individual companies. The second path is for GA pilot certificates. Where all those who wish to pursue flying in GA aircraft would be guaranteed their instructor would finish what he/ she started. If not then the flight school or instructor would reimburse all costs incurred up to their departure. Additionally CFI’s would be guaranteed the same prevailing wage as a FO in the regionals now receive. The student would have to carry a slightly higher average hourly cost up front but would be able to avoid having to start all over again multiple times as they often do now. Win-Win. I would also suggest that a stipend from FAA or airport tax use fees could go to help pay for a living wage for CFI’s starting out. Pilots who completed their SEL ME Comm could still go on and qualify for ATP to be able to fly 135 ops in jets should they so choose. I heard early on that receiving my pilot’s license was in fact a license to learn. I believe that to this day. As all aircraft are designed for their particular mission. And all student pilots have some idea as to how they plan to use their cert once they pass their checkride. So depending upon mission I believe that ALL different types of aircraft can and should be used for training. Thanks for your comment. Re: “I was a bit surprised by your position that we should get rid of the SR22’s in training”, allow me to clarify that a bit. If someone has the cash flow to learn in an airplane costing $300/hr to operate, great. The SR22 is an good aircraft — I’ve logged about nearly a thousand hours in the Cirrus, and have even taught primary students to fly in them. That seems to have been your situation, and there’s nothing wrong with that. Like you, I appreciate the safety features. But in my experience, the factor which drives most people out of aviation (or keeps them from starting in the first place) is money. Make flying cheaper, and we’ll get more pilots. Make it more expensive, and we’ll have fewer. Take a look at Europe, where the cost of flying is several times what it is in the States. Their GA community is much smaller than ours by any measure. If we can reduce the cost of learning to fly, it will go a long way toward solving the pilot (and instructor) shortage. The simple tailwheel airplanes accomplish this in two ways: first, they simply cost less to purchase and operate. They burn less fuel, and are far simpler, which means less maintenance expense. The simplicity is key here, because as you undoubtedly know, a student cannot be sent for a checkride until they have mastered all the systems in their aircraft. In the SR22, that means they have to know about BRS, turbochargers and intercoolers (possibly), as well as complex avionics and electrical systems. In, say, a Cub? They don’t have any of that. It’s easier to learn all the systems on the plane because there are fewer of them. And the landing gear configuration ensures they develop superior stick and rudder skills. A win-win all the way around. 1. There are about 200,000 non-military aircraft in the United States. About 10% of them are airliners. The remaining 90% are general aviation. 2. The airlines employ about 550,000 people according to the Airlines for America trade group. The GA industry supports 1.1 million jobs and has an economic impact of about $219 billion (source: NBAA “Contribution of General Aviation to the US Economy” report). AOPA says the number of jobs is actually closer to 1.3 million. Either way, that’s a lot of people. 3. I couldn’t find the data, but I recall seeing a stat that showed more people travel via GA each year in the U.S. than on any single airline. That may no longer be true because of massive consolidation in the airline industry and the shrinkage of the GA segment (both unhealthy trends, in my opinion), but the point is that a large number of people get around using general aviation. Thanks for your response to my comments. I know that we both share the hope for an increase in the pilot population. Couple of things I would like to clarify. My comment regarding a ‘cottage industry’ was not meant to suggest that GA taken as a whole was small or had little economic impact. What I was referring to was the fact that it is populated by many small firms. I look at GA perhaps a little differently in that I view the Personal/Recreational single engine aircraft as a start for most aspiring student pilots even if their personal objective is to pursue a career in aviation. I appreciate your view that taking training in a simple aircraft may instill fundamentals in a less costly fashion. And if these student were to confine their flying going forward to these types then the cost argument would be compelling. However if they were to decide that they will want to fly other aircraft (either in a career or for pleasure) then the cost incurred by having to transition to that newer aircraft might mitigate the initial cost advantage and even end up costing more over the long run. I believe that each student might benefit from some of the unique sim training being put forth by various groups… Redbird is doing some interesting things in this area. The regionals all do their FO training and type rating in the sim. And for students early in their training working in the sim represents a significant cost savings. From OEM * for Single Engine piston aircraft, FBOs, Flight schools, 135 Operators all are relatively smaller operations… by employee populations. Flight schools in particular historically have been smaller operations with an owner/chief pilot and a few CFI’s (many being part time). There are certainly exceptions that can be pointed out but taken as a whole the GA industry is a relatively small operator based industry. All GAMA members produced and delivered a total of 623 single engine piston aircraft in the US (890 worldwide). Those numbers are approximately the same from 2009 to present. So in a decade all OEM’s manufactured and delivered less than 10,000 single engine piston aircraft in the US. 149,121 student pilots in 2017. I believe that AOPA indicated that 80% never complete the training and receive their certificate. 162,455 listed as ‘active Private Pilots. My guess is that a significant number of those average less than 50 hours per year. I am hopeful that GA will come together to solve the current pilot shortages… not only for the airlines but for GA in general. Your analysis is always very focused and sharp. It seems like too many people decided to eat the egg before it grew up to be a chicken. Maybe here in Europe we are doing even worse – like selling our metaphorical eggs to others. I really wonder why it went that way. Or, whether it has ever been any different, somewhere back in time. As a young european pilot (and fresh ultralight aicraft owner), I feel very much this burden on my shoulders. I think maybe you could write a post on european aviation world, and its differences from the american one. It would be interesting to have a professional, but external view on this topic. I am very sympathetic to the burden you face in trying to fly in Europe, Filippo. There’s just a different mentality over there when it comes to regulation in general, and man’s God-given freedom to fly. In the United States it’s actually written into law: “There is hereby recognized and declared to exist in behalf of any citizen of the United States a public right of freedom of transit through the navigable airspace of the United States.” (Source: Section 104 of the Federal Aviation Act). I’m not sure you have anything like that in Europe. Part of the challenge you face is that Europe is made up of many different countries. Even though ICAO is supposed to bring them all under a single set of rules, in reality the varying cultures, languages, preferences, governments, styles, and histories of each country leads to variations. Europe also seems to be top heavy in terms of the size and scope of government. I’ve written about the differences many times over the years. Here’s one post from 2011 which details the challenges facing instrument students over there. You mentioned wanted to read about the differences between the European aviation world and the American one. I’d recommend a series of posts on the AOPA blog by Garrett Fisher. 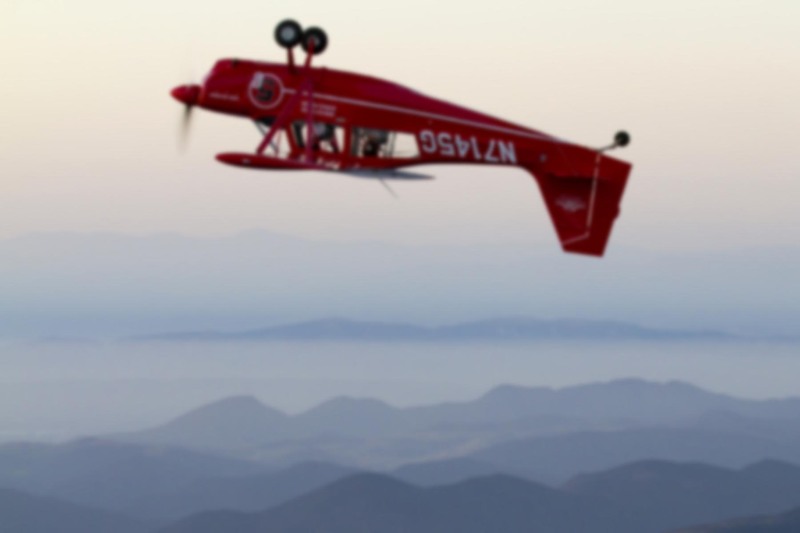 He’s an American photographer and pilot who moved to Europe with his Piper Cub. He details the challenges in trying to fly over there and compares it to what he’s used to here in the States.